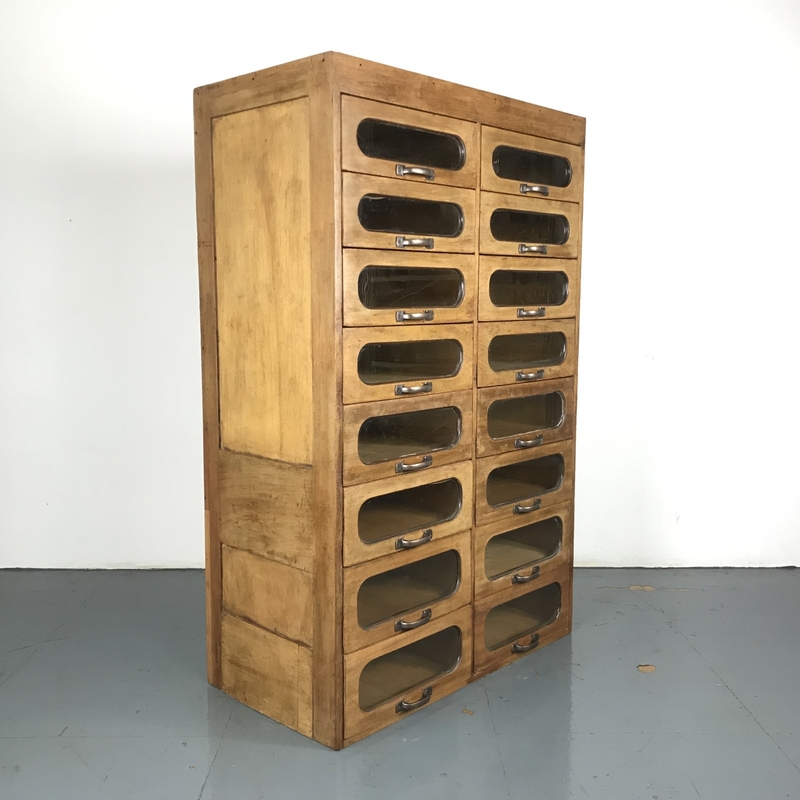 1930s 16 drawer haberdashery shop cabinet. It has 16 glass fronted drawers all with metal handles. With added rare features of paneled sides and staggered height drawers. Glass fronted drawers: 41cm W x 42cm D x 12cm, 13, 14, 16 H.
Please bear in mind this is a vintage item and has come from a working shop so it is not in perfect condition, but all part of its appeal. A few historical worm holes that have been treated again just in case. The drawers open and shut smoothly. A great piece of vintage furniture in a useful size - lovely in a dressing room!